Hi. I have a Westone Thunder II Bass. 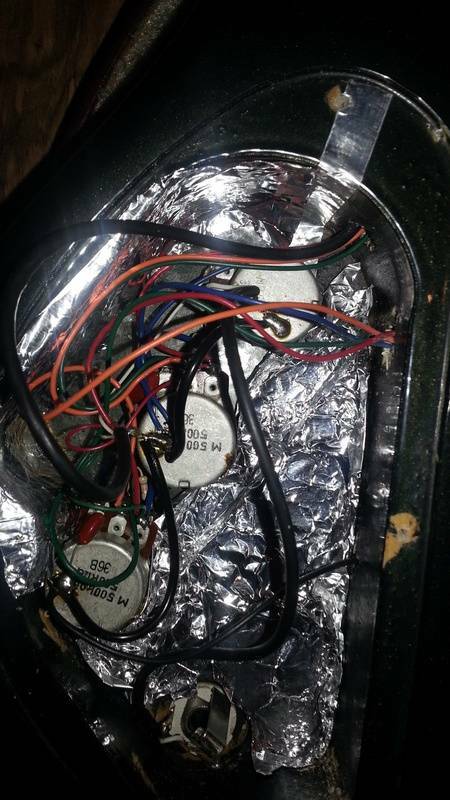 I want to replace the pickups because of the absurd hum and noise. Each stock single coil pickup has 4 wires coming out: orange, blue, red and green. So that 8 total wires coming out from the pickups. How do I solder this thing? I've tried looking up diagrams but I dont see any for my knob configuration. I have 1 master volume, then the tone knobs for the Bridge and Neck are stacked on top of each other. So really, there are 4 tone knobs. The tone knobs pull double duty for controlling the Treble and Bass. Dialing it clockwise turns up the treble. Dialing it counter clockwise turns up the bass. This goes for both the Bridge and the Neck. There is a Zero point where it evens out. 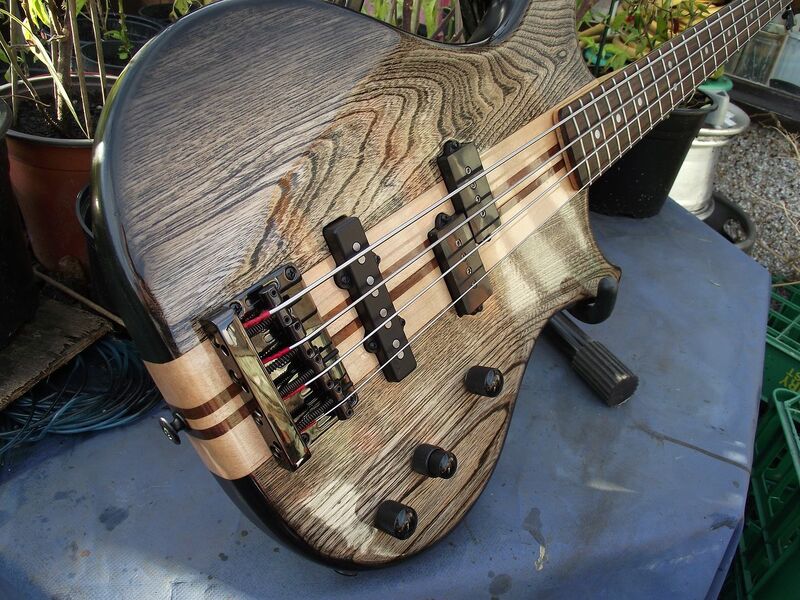 When you are allowed to post, some pictures would help a lot, there were 3 versions of this bass. Click here: Scroll down for Thunder II models. New members are required to wait 7 days as an anti-Spam measure, but if you wish, send me your pix and I'll post them for you. Click on the link under my avatar. Meantime, be aware that loud humming is usually the result of a bad ground (perhaps a loose solder joint). First place to look is the jack input. The second major cause is simple corrosion in the pots. That's usually cured with a few squirts of contact cleaner. Before you go gutting everything I'd check those items first. It could save you a major rewiring. The diagram here isn't an exact match because I dont have a phase shift. Everything else is the same. It's a passive set up. Two tone knobs. One volume knob. The ton pots are stacked. Check it! I volume, 2 PEQ tone controls. PEQ = center dentent full humbucker. Both pickups are humbuckers= 4 wires each. Your Fender one's are single coil pickups. Stacked pots look like this, yes? PEQ tone controls. corsair wrote: There we go. 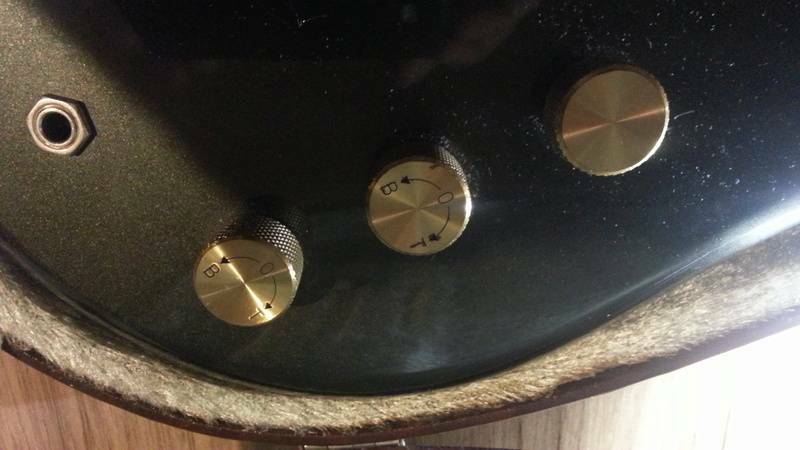 Your thinking of the middle knob in the photo below, stacked bass/treble. Yeah; that's the one!! I've seen them on a guitar somewhere - can't remember where or when now - but never on a Matsumoku guitar, though I think maybe some of the top end stuff may have been so equipped... the likes of the ST1512?? See here... it has stacked pots!! Firstly I'd get rid of all that kitchen foil stuffed in there. Could cause a short. Might even be the problem. The wiring diagram is for a Thunder II passive 6 string, should know I drew it. That's the first time I've seen cooking foil used in a guitar cavity. On the plus side it should help communications with the Mother Ship in high orbit. » Wiring a Grafted tree?